And is [redacted] really the [redacted]? The latest issue of Weekly Famitsu has a new interview with Falcom president and CEO Toshihiro Kondo following last week’s announcement of The Legend of Heroes: Trails of Cold Steel IV ~The End of Saga~. The Legend of Heroes: Trails of Cold Steel IV ~The End of Saga~ is an important title that will serve as a major end point for the Trails series that began in 2004. The series’ end point in The Legend of Heroes: Trails of Cold Steel IV ~The End of Saga~ was decided around the time The Legend of Heroes: Trails in the Sky was released. Since The Legend of Heroes: Trails of Cold Steel IV ~The End of Saga~ is the first title Falcom announced as the final entry, there is major pressure on the company. Falcom wants to meet the expectations of the users who have played the series thus far. 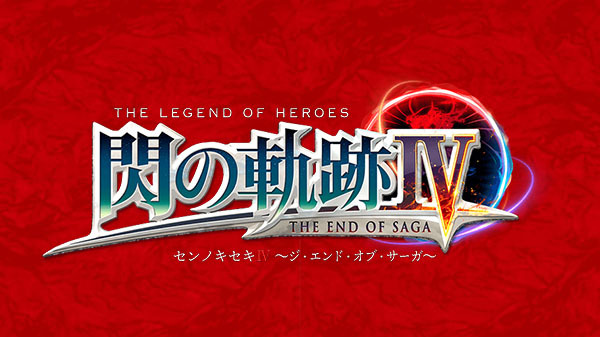 The subtitle, “The End of Saga,” was decided because The Legend of Heroes: Trails of Cold Steel IV is a title that will end the series as a whole. The title logo was made to contain all the elements of the Trails series thus far. The sphere behind the “IV” depicts The Great One and two treasures from The Legend of Heroes: Trails of Cold Steel III. (Regarding the key visual of Rean Schwarzer) While Falcom cannot share details at the present time, the story will depict the hopeless conclusion to Rean’s story. There are more playable characters than in The Legend of Heroes: Trails of Cold Steel III—the highest amount ever. The Legend of Heroes: Trails of Cold Steel IV ~The End of Saga~ is an extremely dense RPG full of volume from start to finish. While the “Brave Order” and “Break” battle systems from The Legend of Heroes: Trails of Cold Steel III will carry over in The Legend of Heroes: Trails of Cold Steel IV ~The End of Saga~, they are being fine-tuned with the goal of a system that has an even greater sense of completion. Since there are undoubtedly more characters than ever before in The Legend of Heroes: Trails of Cold Steel IV ~The End of Saga~, they are working with care to make sure the story is constructed as a single RPG while also making preparations to highlight each character. The state of the Empire has undergone sudden change due to the curse and general mobilization of the nation. There are also quests as a result of such circumstances. The relationship between each side, such as where they are positioned, will also change. The enemy side will also see various movements. Crossbell Police Department Special Support Section members Lloyd Bannings and Elie MacDowell will begin moving towards the conclusion discussed at the end of The Legend of Heroes: Ao no Kiseki. Renne Hayworth has major involvement with and Tita Russell and Crossbell. Development is 45 percent complete. The Legend of Heroes: Trails of Cold Steel IV ~The End of Saga~ is due out for PlayStation 4 in Japan in fall 2018. Thanks, Hachima Kikou and [email protected].